At the end of May, the world’s top tennis greats compete in Paris for the second Grand Slam of the year and the only one played on clay, the French Open. There are multiple events and courts, all allowing you to maximize your time for the full two week event. The tournament started in 1891, and after switching several venues, it has been played at Stade Roland Garros since 1928. Paris, often referred to as “The City of Light,” is a stunning backdrop as one of the world’s premiere centers of fashion, food and architecture. If Paris has always been a dream destination for you, what better way to enjoy all it has to offer while also watching our tennis greats play on one of their favorite courts? When you’re not enthralled at Philippe Chatrier, prepare to shop at world class specialty boutiques, dine at traditional bistros as well as high end modern eateries, take romantic walks through some of the world’s most charming gardens and experience truly iconic monuments. Of all the tennis tournaments, even the Grand Slams, no one guards their tickets more closely than the Roland Garros French Open. The good news is they are available to the public, though the demand is far greater than the supply. The Roland Garros website (rolandgarros.com) sells their tickets over several phases and through various places. Premium Tickets – earliest on sale through their site. These packages include perks like an indoor lounge overlooking the courts, food and drinks, player meet and greets and other upscale freebies. Agencies – Roland Garros sells their tickets via hand-selected partners, who mostly offer very upscale vacations to the French Open, but also offer individual tickets. The official recommended agency will depend on your country and they are all listed on the RG website. Individual Tickets – on sale March 20, 2019. You must first create your account on the RG site and hopefully, you will score them within the first few on-sale hours. Resale Tickets – starting in April, ticket owners can resell their personal tickets or packages through the official exchange. Thanks to this resale service, new tickets can be sold at any time until the last day of the tournament, at the official price, with the guarantee to get authentic tickets. Keep an eye on the website. 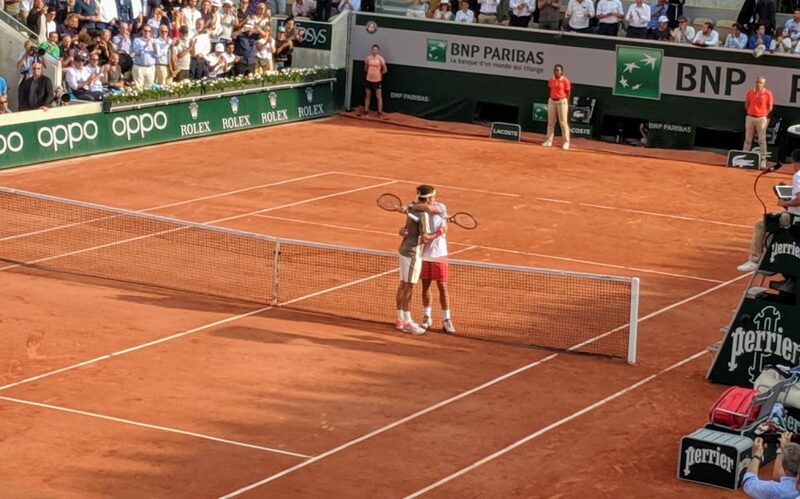 Ticket Resellers – while these sites are not "officially" approved by Roland Garros (they actually make a big deal out of not buying from resellers), they do allow those who REALLY want to watch an opportunity to buy tickets. These are also VERY reputable companies, with excellent customer service and 100% guaranteed tickets. Our recommended reseller sites include StubHub (great selection and transparent pricing) and Viagogo. Our recommended reseller sites include StubHub (great selection and transparent pricing) and Viagogo. Day Sessions only – no night sessions, however you can buy night tickets (5pm entry) for the early days of the tournament allowing you to catch the ends of matches, practices or just walk the grounds. Qualifying Rounds – are not free (as they are at the US Open), tickets are minimal (€11) but you must reserve them. Show Courts: Philippe Chatrier, Suzanne Lenglen, Simonne-Mathieu (formerly Court No. 1). The 21-acre tennis complex consists of 20 tennis courts, including 3 stadiums – Court Philippe Chatrier with a capacity of 14,840 people, Court Suzanne Lenglen with a capacity of 10,068 people, and the new Simonne-Mathieu, which can accommodate almost 5,000 tennis fans. Ticket Limit – there is a 4 ticket maximum per person (for individual tickets) for the entire tournament. One person can buy two tickets for 2 different days. Or a group of 4 can purchase 4 tickets for one day. But if that same group of 4 wants to go on two different days, they will need two people and 2 credit cards to make the purchase. Showing ID – you MUST show a photo ID that exactly matches the name on your ticket. Read the guidelines carefully as it is often a passport and not even a Driver’s License required to be allowed on the grounds. The Legends Trophy is a highlight of the French Open. It hosts history’s tennis greats in a fun and less competitive atmosphere. If you’ve never seen your favorite players when there is slightly less pressure at stake, it is a blast to see them let their guard down and play with each other and the audience. 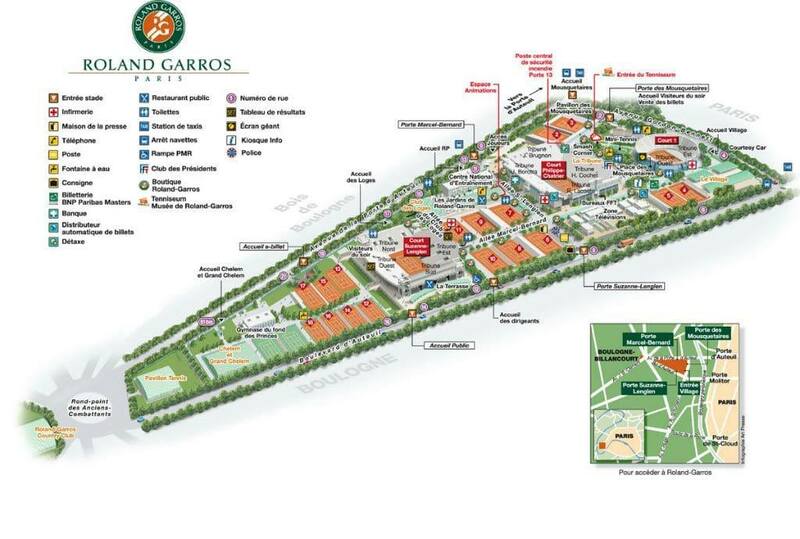 Check out all our great Roland Garros Tips for Attending. We offer you our top Roland Garros tips, having just gone to set up the tournament while it’s still fresh in our minds. Our recommended reseller sites include StubHub and Viagogo. French Open Ticket Options – Our recommended reseller sites include StubHub and Viagogo. Choose a hotel near the Franklin D. Roosevelt station to be within a one-minute walk of designer shopping and famous restaurants along Avenue des Champs-Elysées. Splurge on the 5-star Hotel Marignan or 4-star Hotel Mathis, or select the affordable Best Western Plus Elysée Secret. Hop on Line 9 to the Michel-Ange Anteuil station, a five-minute walk from Roland Garros. Pick an upscale hotel close to the Odéon station such as Relais Saint Germain, the Holiday Inn Paris Notre Dame, or Hôtel Louis 2 to experience the Latin Quarter’s charming bistros, elegant boutiques, andchurches dating back to medieval times. 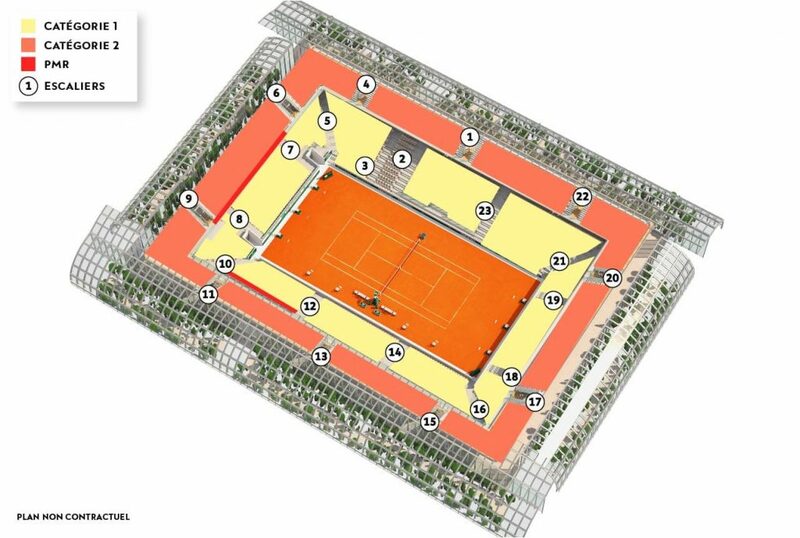 Take Line 10 to the Porte d’Anteuil station, about a four-minute walk to Roland Garros. The most shade on all the courts, with the sun behind you, are on the South and West sides of the courts. The South will get more shade in the early afternoon and the West the later part of the day. 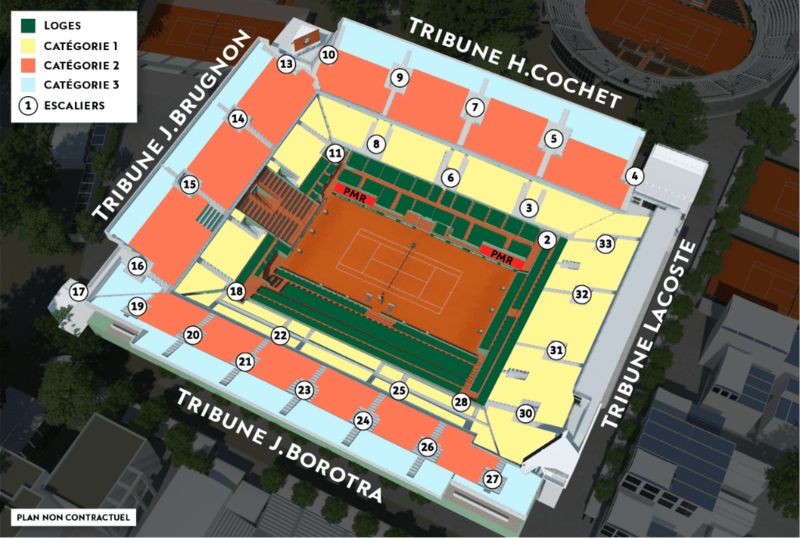 On Philippe-Chatrier, Tribune Lacoste is the south side and Borotra the west. Question from a first time attendee: I’m a huge Rafa fan and my mom and I are coming in from the states because we’ve never seen Rafa play live on clay. I will be there in the first week, hoping to see his second round match (so, a very good chance he will still be in). I don’t want to buy our tickets until a couple days out to ensure we will see him play. Will we have issue buying tickets that close and/or paying a lot more? Any recommendations are greatly appreciated! Hi Emily!!! Great question. It all depends on who is playing and how well they’re doing going into the tournament. If Rafa is flying through the clay season (Rome, Barcelona, Monte Carlo, Madrid) like he did last year and it looks like he’s on his way to win #12, and Djok, Fed are both playing….then of course tickets are going to be harder and more expensive to get. However, if anyone drops out or gets injured (G-d forbid! ), then tickets will easier and less expensive to get. My advice (and there’s no guarantee) is to evaluate after Barcelona and before Rome. 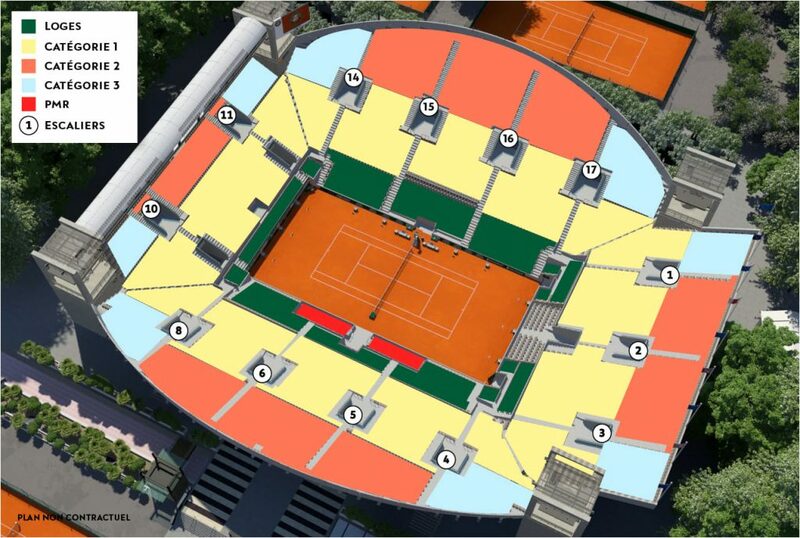 On March 20, 2019, I bought 2 tickets (1 on Suzanne Lenglen court & 1 on the new Simonne Mathieu court) because I couldn’t decide which stadium would be better. All tickets for Philippe court were sold out for this day (and the 2 days after wee 400 euros each) once I got to my place in the queue 🙁 I don’t know if it makes sense to keep both of these tickets to have access to more matches, or if I should sell one. Are these seats OK? I don’t mind sitting in the sun, a chair with a backrest is preferred but I can sit on benches if necessary. I haven’t heard much about the new court (Simonne Mathieu). This is my first time at the French open and I’m a big tennis fan, I happen to be in Paris during the tournament. Any advice?? Thank you for your help! However, I can tell you the shadiest parts of both stadiums are the South and West sides. It’s unfortunate you won’t know who is playing which courts until it’s too late to sell the other ticket, so you’ll have to make that decision for yourself. There’s really no way to make a recommendation either way. Enjoy RG!!!!!! !